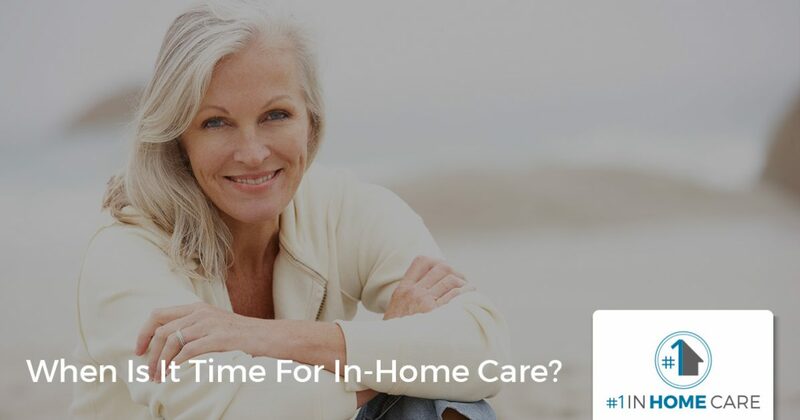 Home Care New Orleans: Is It Time For In-Home Care? When Is It Time For In-Home Care? The time following a loved one’s injury or hospitalization is difficult. Trying to get them back up on their feet while also maintaining your own life is a tricky balance. If, after everything seems okay, you start to notice that they aren’t doing as well as they used to, you may start to ask yourself what there is to do. If your family member doesn’t need to be in a nursing facility but they could definitely use some help, what are your options? At #1 in Home Care, we are here to provide people in the New Orleans area with world-class, non-medical in-home care. In-home care is a wonderful way for people to stay in their homes while getting some help with the day-to-day tasks that they aren’t as capable of anymore. Whether you or a loved one needs help with meal preparation, personal hygiene, housekeeping, or transportation, we’re available to help! Our caregivers are highly trained and compassionate helpers who can assist you. Contact us to find out more about our home care agency. If you have been wondering if it is time for in-home care for someone you love, read on. One of the best ways to determine whether or not someone needs in-home care is to examine the way things are now compared to how they used to be. Below, you’ll find several signs that at home care might be a good idea. Daily tasks can be things as seemingly benign as failing to open the mail to as severe as not eating. This is where your familiarity with your loved one is most important: if you believe that there is reason to worry, you’re probably right. If a family member changes from a well-organized and fastidious person into a sloppy and apathetic character, they may need help. It’s possible that over time, after an illness or injury is overcome, they may not need as much assistance, but it is better to get them help before something bad happens. Changes in personality are a good indicator that someone may need help. As we mentioned above, even seemingly small shifts can create larger problems down the road. Personality changes may lead to problems with memory which can also cause physical problems. Having someone there to help them perform all of their normal duties can help them concentrate on their recovery as well as the things that are most important to them. Everyone will have accidents once in a while. However, when accidents become more and more frequent and more severe, it may be a sign that it is time to reevaluate the way your family member is being cared for. If they are having accidents in the kitchen or they keep tripping over the same objects because they aren’t picking up after themselves as well as they did in the past, an in-home care specialist can help them keep a cleaner, safer house. If you have been providing extra care to your loved one, you have to be aware of your own limits. Growing too frustrated or tired to assist them in the ways that they require may lead to more problems. You don’t have to feel guilty about asking for help because it proves that you care about your family member. Contact us at #1 in Home Care if you live in the New Orleans area and you need to set up an in-home care helper for a family member or friend. Our agency is dedicated to providing the best quality care at affordable prices so everyone can live their best possible life.